We thank Patrick Stettler from P.S. Modern Kitchen who will lead a gathering of culinary talent chefs from the Bow Valley to create a divine dining experience to be remembered! 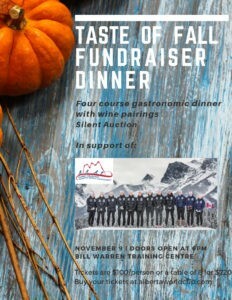 Join us for our annual Taste of Fall Fundraising Dinner.